Two new books to get your creative juices flowing! Both of the books have so many great ideas, it makes me wish for more than one house so I could try them all out! In Color (Better Homes & Gardens Decorating) , you will find tips for choosing paints, fabric, and accessories that work well together. Full of photos and examples showcasing the latest in color pallet trends, this is a great book for anyone who wishes to add more color to their home. No need to be afraid of making a color mistake, the book will walk you through the entire process. Next, start dreaming of that beach house or cozy cottage you have always wanted! New Cottage Style: Decorating Ideas for Casual, Comfortable Living (Better Homes & Gardens Decorating) will show you all kinds of cottage styles that you can incorporate into your own home. 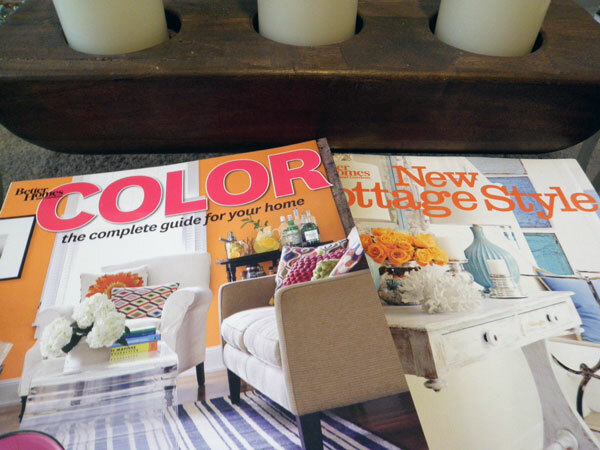 Again packed full of color photos that will have you itching to redecorate, this book is a real treat to read! Featuring homes in all kinds of settings, the book shows that it is possible to have cottage style no matter where you live.